Frank Rogin, a third-generation antiques dealer, has been in business since 1993. His inventory focuses on European modernist designers and architects who have come to define the look of 20th century public and private spaces. Spanning the various modern era European design movements, the inventory includes unique pieces as well as those that were in both limited and large production. 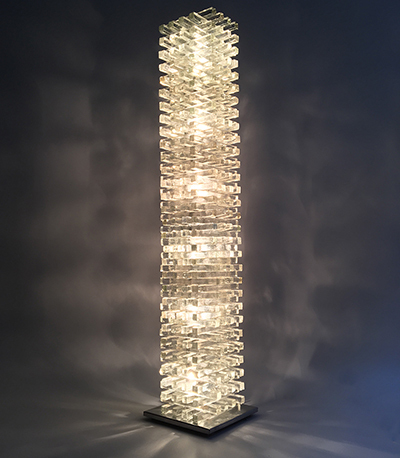 Frank Rogin also specializes in pieces by Poliarte, An Italian lighting company from 1968-1979. The gallery works with the Poli Family and Poliarte archive to vet and authenticate Frank Rogin's extensive collection of Poliarte lighting. The gallery has produced the first comprehensive catalog of Poliarte lighting. The catalog has sixty-eight pages of over thirty examples of Poliarte lighting. Many of the pieces come directly from Albano Poli's personal collection. The gallery is also in the process of a second catalog on Poliarte. Frank Rogin Inc. is now a private gallery. We can be reached by phone or e-mail.